The PSPAD05 is a versatile and secure tablet holder. The wall mount system allows you to position your device exactly where you want it. Works with iPad, Galaxy, Kindle, Samsung, Android, and other tablets. 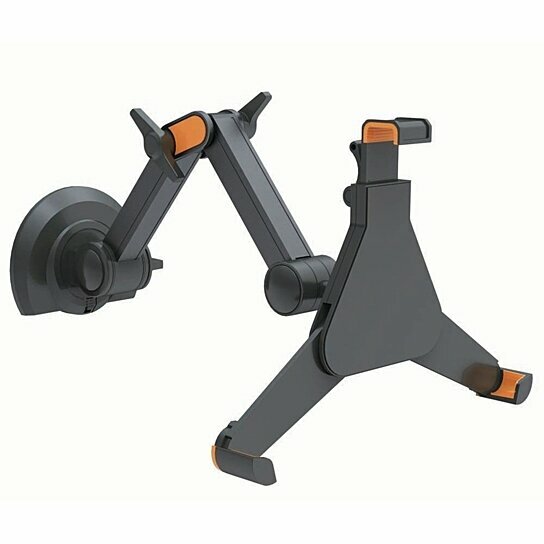 This safe and tested design with retractable arm is fully adjustable giving the user the ability to move and adjust the tablet to a wide array of positions and angles, or simply contract the arm against the wall. The wall mount extends outward or retracts inward and rotates your device quickly and easily. Display information to clients, customers, or to the public quickly and easily. Simply fasten the wall plate of the mount with screws for quick installation. Includes hardware mounting screws.